Pick Analysis: Bradberry signed with Arkansas State out of high school, but since the team desired him to move to safety during his redshirt year there, he decided to transfer to Samford to play outside. He's been a four-year starter for the Bulldogs, and was named second-team All-Southern Conference as a junior (two interceptions, four pass breakups) and the first team in 2015 (two interceptions, 11 breakups). Will he stay at cornerback in the NFL, or will teams ask him to switch to safety? 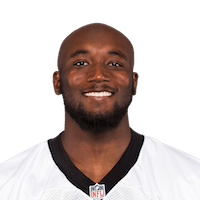 Published: March 16, 2016 at 02:08 p.m.
Watch Samford DB James Bradberry work out at the 2016 NFL Scouting Combine.